Therapy provides a safe space for teens to explore and reflect upon their current life circumstances, while offering a glimpse into the future. Adolescence brings with it a myriad of life-impacting choices, and so it is a time of great transition and vulnerability. Using a combination of talk therapy, expressive arts therapy and somatic therapies, teens will have an opportunity to take a genuine look at themselves, to explore their relationships with others, and to better understand their overall place in this world. Therapy serves as both an anchor and a guide, keeping teens grounded while they search for healthy ways to express themselves and fulfill their needs. Depression is a mental state of depressed mood characterized by feelings of sadness, despair, discouragement, and hopelessness. Often times, depression is precipitated by the occurrence of a stressful life event, such as a relationship breakup, school pressures, severe personal illness, or death of a loved one. Symptoms of depression may include persistent sad, anxious, or “empty” mood, sleep difficulties, changes in appetite, loss of pleasure and interest in activities once enjoyed, inability to concentrate, fatigue, thoughts of suicide, and persistent physical symptoms that do not respond to treatment, such as chronic pain or digestive disorders. Depression is curable and is not something that needs to be suffered through. Numerous studies have found that therapy is highly beneficial–often times more beneficial than antidepressant drugs–for reducing and overcoming depression. In therapy, teens will have the opportunity to safely explore and express their feelings, thoughts, and behaviors that are directly related to feelings of depression. We will engage in both cognitive and interpersonal therapy in order to alleviate the depressive symptoms. Teens will learn cognitive-behavioral methods, such as identifying illogical self-statements about oneself, the current situation, and the future that can exacerbate feelings of depression and perpetuate the cycle of despair. We will also explore how past and current relationships may be contributing to feelings of depression. Therapy will provide an opportunity to uncover the root cause of the depression, which will enable teens to incorporate new, healthy coping skills to deal with forthcoming life challenges. Building and working in a therapeutic relationship will build teens’ self-esteem and re-ignite their intrinsic motivation and vigor so that they can take advantage of all life has to offer. Teens will achieve a restored sense of lasting hope, balance, and vitality. Anxiety is the result of long-term, chronic stress on the body. Symptoms may include excessive worry about events or activities, feelings of restlessness, sleep disturbance, irritability, difficulty concentrating as well as physical symptoms such as muscle tension and panic attacks. Although anxiety is quite prevalent in today’s society, it is often alleviated with therapeutic intervention. Peers are the dominant social influence in adolescence. The teen decides who he or she is becoming and what his or her future roles in life will be in relation to peers. Therefore, if an individual’s sense of self is ambiguous, the more likely that teen is to “follow the crowd” and potentially get involved in unsafe situations. Engaging in therapy will help to build a strong sense of identity through practicing decision-making skills, improving overall communication, and enhancing each person’s level of self-worth. Teens will gain both a sense of personal identity and a positive direction for the future. Self-injury is the act of inflicting physical pain serious enough to oneself to cause tissue damage (scarring) to the body. Common methods of self-injury include cutting, burning, scratching, and biting. People who self-injure usually do so to deal with uncomfortable and intolerable feelings that they otherwise feel unable to manage. Individuals who self-injure may do so to express anger and to relieve emotional pain and tension. Therapy can help to end the cycle of self-injury by providing a safe space to express feelings, needs, and desires. Using expressive arts therapy, a psychodynamic approach, and somatic therapies, teens will be supported in communicating the feelings, traumas, and experiences that lead to self-injury. Self-injurers will learn healthy coping skills to deal with the difficult emotions preceding an act of self-harm. As healing progresses, individuals will incorporate new ways to confront daily challenges, while maintaining healthy boundaries and an increased tolerance for personal thoughts and feelings. Self-esteem is the cornerstone of a successful and fulfilled life. Unfortunately, many of us suffer from feelings of low self-esteem and inadequacy and have difficulty getting the most out of life. Poor self-esteem may manifest as shyness or social anxiety, being physically unhealthy, avoiding new situations, allowing others to take advantage of you, or similarly to symptoms of depression. Working with a therapist is, in and of itself, a self-esteem booster. The relationship formed between the client and therapist will contain qualities such as respect and genuine caring, qualities that are often missing from the relationships experienced by those suffering from poor self-esteem. Cognitive-behavioral techniques will then be utilized to aid each teen in uncovering negative self-talk. As one learns to transform the negative self-talk into positive messages, each individual will also be encouraged to explore new activities that are joyful. We will also work with your nervous system to teach it how to settle; this settling will help you to feel safer in the world and subsequently better about yourself. As personal exploration, insight, and communication improve, so too will each teenager’s level of self-esteem. Adolescence is the time of greatest personal change, physically, emotionally, and mentally. Bodies transform, interests change, and the capacity to think abstractly heightens. Teens may be starting to break away from their family and create more responsibilities for themselves. Young people may also begin to change the way they view themselves in relation to their family as well as those around them. Inasmuch as adolescence is an exciting time, it can also be a very scary and lonely period in life. Engaging in therapy will provide teens with the space needed to safely explore all of these new changes as well as an opportunity to challenge old beliefs about themselves, their family, and their peer group. Stress management techniques will be introduced to deal with these changes effectively, as well as concrete decision-making skills to better equip each adolescent for the many choices that lie ahead. Gaining this new insight will increase teens’ level of maturity and self-care, improve relationships with others, and increase intrinsic motivation to be their personal best. Peers are the dominant social influence in adolescence. The teen decides who he or she is becoming in relation to peers, and so relationships with parents shift and often become tumultuous and disconnected. Therapy provides a space for teens to openly discuss their needs, feelings, and frustrations in order to foster open, honest, and continuous communication with parents. Adolescence is a confusing and transitory time for young people. The development of personal identity is contingent upon a number of things including family, peer group, academic abilities, and emotional stability. The ambiguity of a teenager’s personal identity can make it difficult to know where to fit in. This uncertainty can cause young people to feel depressed, angry, isolated, and anxious. 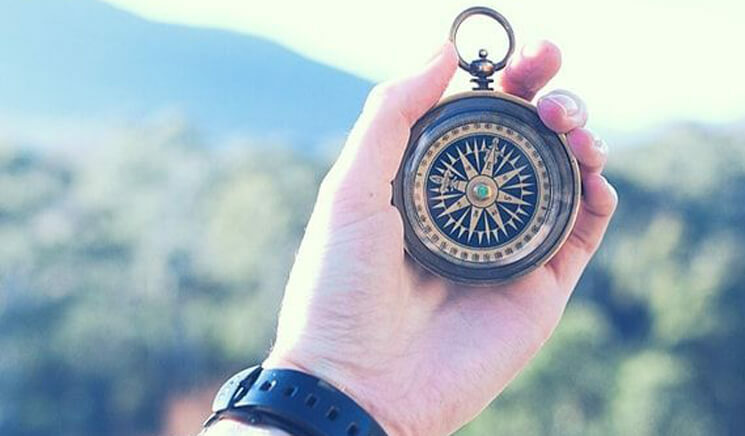 By engaging in a therapeutic relationship, teens will have the opportunity to safely explore who they are and who they’d like to become, while receiving guidance and support for making positive life choices. Teens will be introduced to cognitive-behavioral techniques to uncover illogical self-statements that may be exacerbating feelings of isolation and confusion. As their sense of self solidifies, teens will know where they fit in now, as well as in the years to come. The physical changes during adolescence are paramount and tend to make teens extremely sensitive to their appearance. Young people’s level of self-esteem is closely tied to feelings about their body. If a teenager is not supported and provided with the necessary guidance and care, uncomfortable feelings about his or her body can potentially lead to poor body-image, lack of self-care, and the development of eating disorders. Engaging in a therapeutic relationship will provide teens with an opportunity to explore core feelings about themselves, while examining messages from parents, friends, and the media regarding body image. A combination of psychodynamic, cognitive-behavioral, and somatic therapy methods will be used to help teens better understand and adjust to life changes in a healthy way. Teens will acquire a set of tools that will enable them to cultivate a positive body image. These skills will aid teens in solidifying a strong sense of self that will continue to grow for years to come. Adolescence is the time in life when experimentation – from drugs to personal identity – is at its highest. The most recent statistics indicate that the average teen starts abusing marijuana by age 14 and alcohol by age 12. Often, what may begin as experimentation very quickly turns into dependence as substances become the primary way to deal with life’s difficulties. Because early use of drugs greatly increases a person’s chance of more serious abuse and addiction, prevention is crucial. Engaging in therapy will provide teens with the space needed to safely explore and express past hurts, current stressors and painful feelings. Using an eclectic mix of cognitive-behavioral, expressive arts, and somatic therapies encourages healthy self-expression and good decision-making. 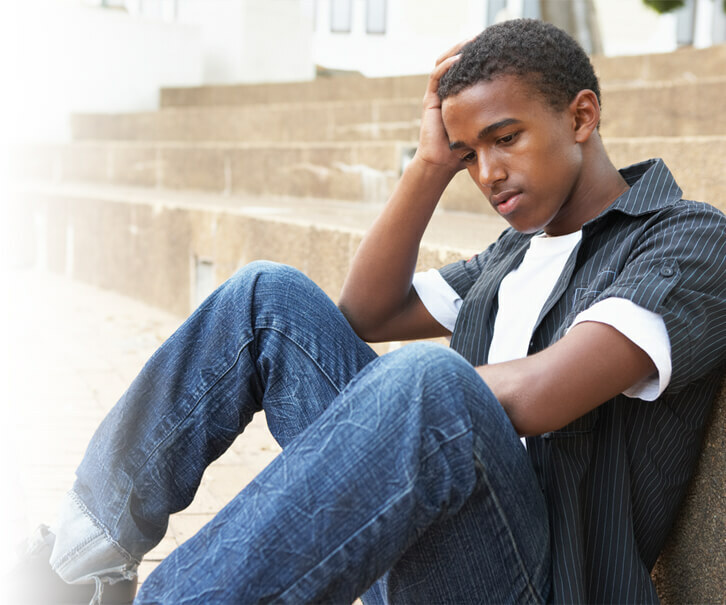 Teens will learn sound coping skills and concrete stress management techniques to deal with difficulties preceding alcohol and/or drug use. Teens will enhance their capacity for self-assertion and their ability to say, “no” when faced with the choice to use. As healing progresses, teens will incorporate new ways of confronting daily challenges, while maintaining good boundaries and increase their tolerance for painful thoughts and feelings.